Reading all the current property trends online, landlords and homeowners alike are holding back on selling, buying and renting due to waiting for the outcome of the election or Brexit negotiations before doing anything! 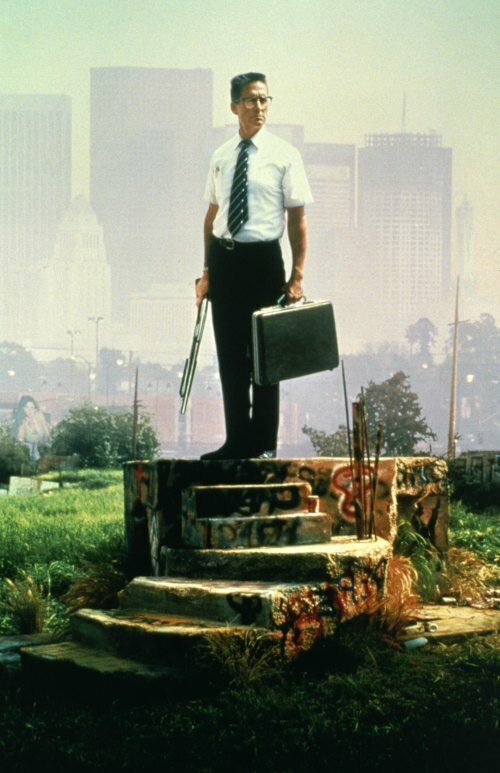 And as an estate agent I have visions of the 1993 movie starring Michael Douglas 'Falling Down' as the general uncertainty and lack of action impacts the market. "Falling down is an accident, staying down is a choice"
Although according to landlordnews.co.uk UK house prices have fallen for the 3rd consecutive month the first time since 2009 and house price growth slid to 2.1% the weakest in nearly 4 years. As an agent I would suggest now is the time whilst the competition wait! Propertywire.com named Liverpool as the top spot for buy-to-let rental yields in the UK and stated that 'Landlords have been achieving an 8% rental yield once mortgage costs are taken into account'. they also go on to say 'As housing and mortgage costs are the biggest influence on yields in the current market, the city takes the top spot as it has a combination of low average house prices at just £122,283 and strong rents at £1,021 per month. We have access to excellent independent mortgage and insurance brokers available to suit your needs and ensure your monthly outgoings are kept to a minimum, please ask for more details. With the publication of Liverpool being named as the top spot this will filter down to the Wirral area as we too have some of the most affordable housing and the rental market is still strong in the area. With regular bus links to the City there's no reason why this positive headline won't directly influence the popularity of this smaller slightly less well known neighbour The Wirral, often mistaken for Liverpool anyway! Desirable investment property available on Hamilton Square, Birkenhead only 10 minute train journey to Liverpool Centre. Please email: info@baileyandstaples.co.uk for a viewing. June Deal - Fully managed deal reduced to only 7% for our readers! Sales - Sell your home for only £500 flat fee on completion! 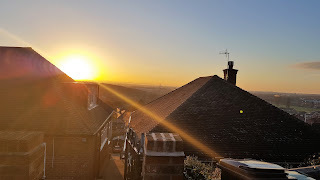 I was wondering what to write for my January property blog after the Christmas hype, thinking what would Wirral residents interested in property want to read about on these cold dark days, I wanted to cheer everyone up with some happy inspiring news about the great Wirral area. I have to admit I struggled to find the inspiration, then it came to me after a meeting with an interesting investor in Birkenhead I found myself driving through Hamilton Square a place where I passed every day for a number of years whilst working in various jobs. I've always enjoyed the surroundings of the Famous Georgian Square but felt I wanted to know more about the history of how this delightful Wirral Landmark came to be. Hamilton Square has recently undergone several redevelopment schemes including a 4-million-pound train station revamp and through various other developers to improve the residential side of the square into luxury, high quality apartments and offices. The improvements have proved successful in bringing professional renters, investors and buyers to the area. Landlords can achieve rents of around £650 for a 2 bed 1st floor apartment and around £525-£550 for a 1 bed basement flat. If you look at surrounding areas that adds around a £200 per month premium on the achievable rent for similar size properties based purely on the location. Birkenhead also has further regeneration plans in place to greatly improve the Europa pools centre. 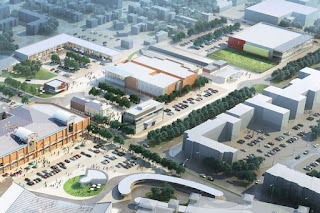 Although Neptune's plans for a 30-Million-pound revamp of the centre have been scrapped , it seems there are "more ambitious" development opportunities on the table. Neptune who carried out the New Brighton Marine Point development are still in active discussions with the council in regards to the regeneration of Birkenhead. (wirralglobe.co.uk/news) Watch this space! With this historic world famous grade 1 listed Georgian Square and excellent train services (although the Liverpool loop is undergoing refurbishment which will lead to temporary delays in the service more details can be obtained through the following link http://www.liverpoolexpress.co.uk/information-wirral-loop-line-track-renewal/ ) through to Liverpool and Chester, fabulous Liverpool skyline views, various colleges and several multi million pound regeneration schemes. We will see an increase in business space, jobs and luxury accommodation and in turn more housing. The proposed changes will no doubt increase demand and desirability resulting in pushing the prices up in Birkenhead and surrounding areas. It seems 2017 is the year for 1st time buyers. According to Rightmove there has been a steady start to 2017 with 0.4% (+£1,086) rise in the price of property coming to market, very similar to the 0.5% rise recorded in January 2016. - Fewer buy-to-let investors to compete against and sellers more open to lower offers as sales agreed in this sector down 13.2% in December 2016 compared to previous year (Rightmove, house price index). In 2017 Rightmove forecasts asking rent rises of 4% outside London, driven by less availability of rental stock resulting in upwards price pressure for tenants. With margins under pressure due to imminent tax changes, buy-to-let investors could look to towns in Merseyside and Lancashire which dominate the best yields currently on offer. As a property nerd and someone who spends a great deal of time hunting, researching and delivering potential property deals to fellow investors I occasionally like to reflect and think what it is I’m trying to achieve and how my services can enhance the lives of those who reside in the Wirral. With Wirral bagging 1st, 8th and 9th of the top 10 postcodes to live in the UK, published in the daily Mirror last year. 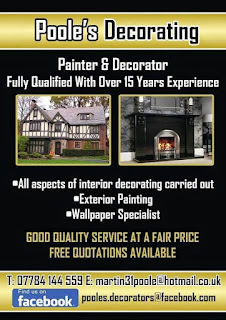 Wirral has a great deal to offer out of the area investors and homeowners alike. So what makes a desirable place to buy and live? According to thisismoney.co.uk there are various factors involved in determining house prices and just being located on a tree lined street could bag the vendor an additional £4,700 on the asking price. Other factors included where location to high achieving schools, well maintained gardens, market towns potentially increased house prices by an additional £25,000. Living on a hill can also see homeowners doubling their asking prices to neighbouring roads. The properties have character and are value for money in comparison to properties of the same size and style in other areas of the country. There are several highly rated schools nearby and the train station with regular trains to Liverpool and Chester only a matter of 15 minutes ride away. With the addition of several green spaces around and many tree lined roads, you’d be onto a winner if manage to bag yourself a lovely 3 bed semi for £170,000. A downside to being a popular place to live is that when all the tax changes come into play many landlords will have no alternative but to either sell or up the rent on their rental properties. Thus leaving tenants in a vulnerable position and potential increase in homelessness in the area. There is already huge competition for rental properties and with an ever increasing rental generation who are working professionals housing benefit tenants will fail to even be considered for the property in question. Where are people supposed to live when they are in this situation? I don’t have an answer to this question but I would like to support tenants, landlords and purchasers alike in the whole process of selling, buying and renting the property afterwards. Bailey and Staples will be bridging the gap between investors and tenants in the hope that we can bring affordable and versatile accommodation available to all. With low management and tenant fees we hope this enable landlords to make a profit and tenants to find more affordable housing. Knaresborough Road, Wallasey with views to die for! Welcome to Bailey and Staples Property Specialists. 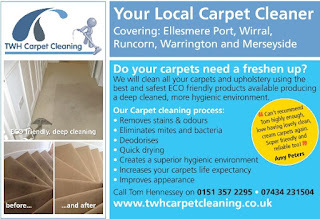 We are agents covering Wirral, Chester, Wrexham and other parts of North Wales including Penyffordd and Higher Kinnerton. Whether you are selling or buying, a landlord seeking responsible, quality tenants, or a tenant searching for a home, we are here to help. 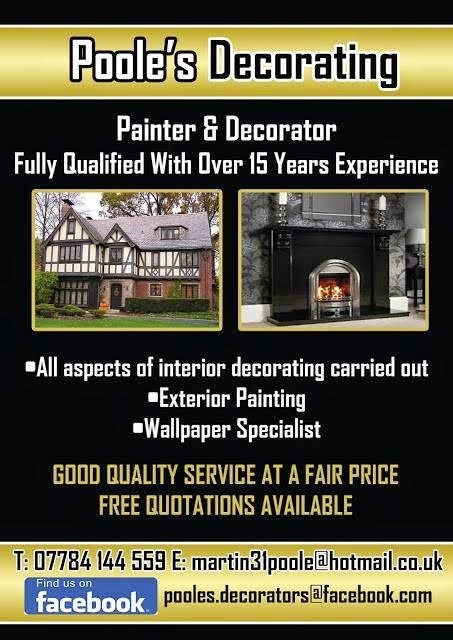 Our experienced, professional, and friendly agents, combined with extensive local knowledge ensure that we provide a service which is second to none. A forward thinking family business that strive to be at the forefront of the property lettings market, investing our time and effort in ensuring that we are fully up to date with ever changing tenancy law and government legislation. Together with our attention to detail and conscientious attitude; we have the experience, resources and skills to deliver the kind of services that good landlords and tenants deserve.